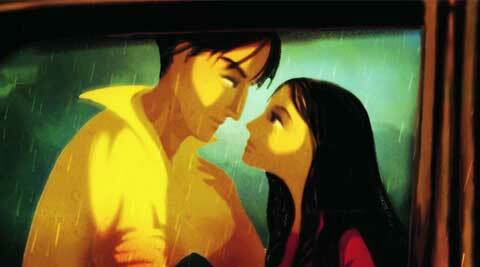 Mumbai-based animation film-maker Gitanjali Rao’s short film, True Love Story, has been selected for the Cannes Film Festival under the Critics’ Week category, where it will compete against nine other films from across the world. The 18-minute film is set in Mumbai and explores Bollywood’s impact on real lives. Rao has won three awards in the same section in 2006 for her debut film Printed Rainbow. She has also served as a jury member at Cannes Critics’ Week in 2011. Rao admits True Love Story’s selection feels like life’s come a full circle. “It’s special also because Cannes isn’t an animation festival and my film competes against live action films, it’s being acknowledged as a piece of quality cinema and not as a cartoon film,” says the elated film-maker. Rao, who will be in Cannes next month, believes that it’s the lack of glamour in animation that does not allow it to be treated on par with live action films, apart from the fact that making a film in this medium is expensive. “Back in 2006, no one noticed that two animation films from India went to Cannes — one was mine while the other, a student film, was under the Cinefoundation section — until the international media wrote about us.” But she adds that such honours help the medium gain recognition in India. A haunted mirror, a murderous father and two siblings seeking revenge form the plot for the new supernatural thriller Oculus, which blurs perceptions and reality with ghostly scares. Oculus follows a young woman, Kaylie, who reunites with her brother Tim after his release from an institution where he was held for a decade for killing their father, who had murdered their mother. Kaylie is convinced that a large ornate mirror in their home caused the mental instability and subsequent demise of her parents, and is determined to clear her father’s name of murder by proving the mirror is haunted by a manipulative entity. “Kaylie is not running from the entity, she’s running to it, and the worse it gets, the more happy and excited she gets because it’s verifying everything that she believed, so it’s just counteracting everything that we’re used to,” said British actress Karen Gillan, discussing her character. The film flits between past and present, and what is real is constantly called into question as the two siblings try to right a heinous wrong. In one particularly unsettling scene, Kaylie bites into an apple, only to find it’s a light bulb. “To play with who’s sane, who’s insane, we start off thinking that Kaylie is completely together and then we gradually think that maybe she’s totally unhinged,” Gillan said. “It’s all about perception because that’s what the mirror plays with,” she added. Oculus is the latest release from producer Jason Blum’s Blumhouse Productions, the company behind the runaway success of Paranormal Activity, a film that grossed $193 million at the worldwide box-office, spawning a franchise for Paramount Pictures, which distributed the films. Five Paranormal Activity films have grossed $807 million globally.